we have seen many bloggers and webmasters saying that content is king but in reality this is not the only single reason behind the success of any websites because you and me, we all know that we have seen many websites and many blogs who have less content, even not readable, but they are ranking high in search engine results so when people say that content is king then do not accept this opinion personally i do not accept that content is king because i have seen. Take example of any site. You can see various bloggers say that length of article should be greater than 1000 words, but search the internet and you will see sites ranking which have very few words in their article. We have seen many websites just take the example of sms and messages, blogs they nearly post around 200 word article, but they are ranking high in the search engine results and they are dominating high priority websites so what exactly is happening . If backlinks really matter, then what about the best of Shayari. 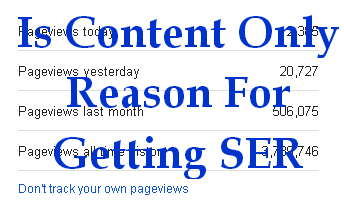 I am getting around 20,000 page views in a day with very few backlinks. I want to tell you that there are only 72 backlinks which are pointing towards my best of Shayari blog not even high quality. So what is the reason behind the success of the best of Shayari now I believe on page optimization and relevance of keywords in your blog post matters not the backlinks. If you do it properly, you will get maximum sharing along with I want to tell you that the frequency of updates on your blog also matters. if you really want to increase your traffic then focus on, on page optimization, try to reduce your bounce rate, try to reduce your page loading time then the chances are higher to appear in search engine results. In the end, I would like to tell you that content is not the only thing that makes your blog appear in search engine results but apart from that on page optimization , proper on site seo are the key to the success of your website or blog.so if you are determined to search engine results then focus on on page optimization, try to make your post nearer to your keywords. include your top keywords in your blog post. These are the reasons for success of best of shayari blog that I figured out from that blog.look i have been running 2 major blogs. First is avdhootblogger.com and second is bestofshayari.blogspot.in and I also told you that I am getting more than 20 thousand page views from best of shayari. 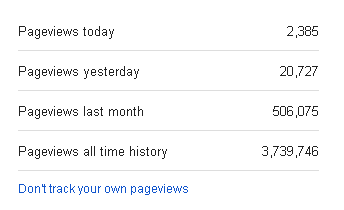 Whereas I am getting only 5000 page views for avdhootblogger.com. if i talk about the backlinks avdhootblogger has more than 4000 backlinks and are all are coming from high quality page and best of shayari have very few backlinks but when i talk about on page optimization best of shayari wins and when i talk about the backlinks, avdhootblogger.com wins the game so what is your opinion about this. Do you believe still believe that the content is king. i am i running around 5 to 6 dollar everyday with the best of shayari with Google ad sense and without the Google ad sense why i am saying with google it's because i am earning at least 5 to 6 dollar with Google ad sense and without it I am earning 6 to 7 dollars per day with the cpmfun. If you really want to earn without Google ad sense. 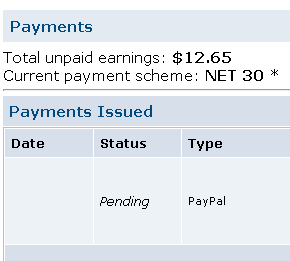 With this program you could be able to earn at least 4 to 5 dollar every day and if you are serious about using more advertising network here is the another one and I have been paid by all of this too. You can earn handsome amount of money using this 2 advertising network. Use edomz For to earn 2-3 dollars everyday. Description : Is content only reason for search engine ranking or on page optimization, off page optimization, backlink ,SEO, domain age or something else.